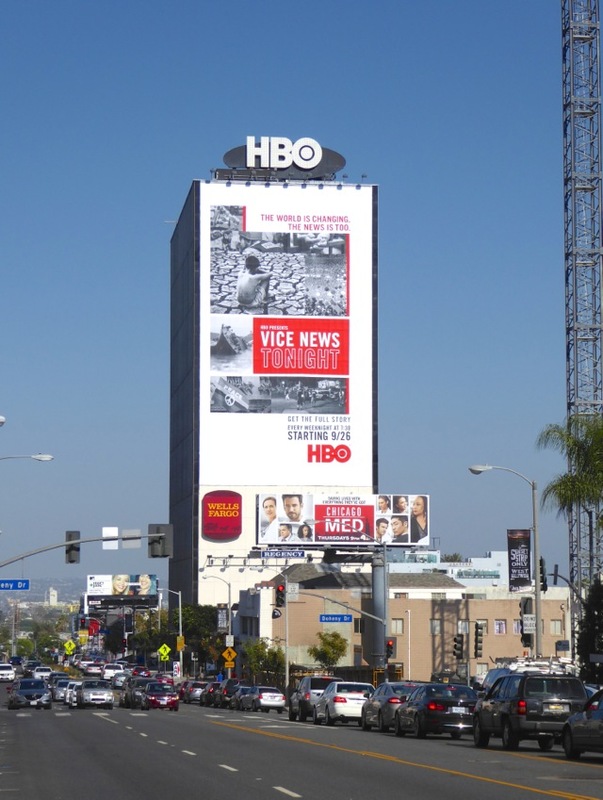 Not content with a print magazine and website, plus a HBO documentary series already in its fourth season, now Vice Media is expanding into the week-nightly news arena with Vice News Tonight. There's no wonder that the media company continues to encourage investors like Fox and Disney, with the latter rumored by CEO Shane Smith himself to be a perfect fit as an acquisition for the Mouse House. With the U.S. Presidential Election in full swing there's no shortage of news and satirical commentary throughout the week, but it looks like Vice News Tonight will be bringing its own unique brand of news with an unconventional anchorless half-hour show, combining Vice's signature mini-documentary style approach with graphics, charts and animation. 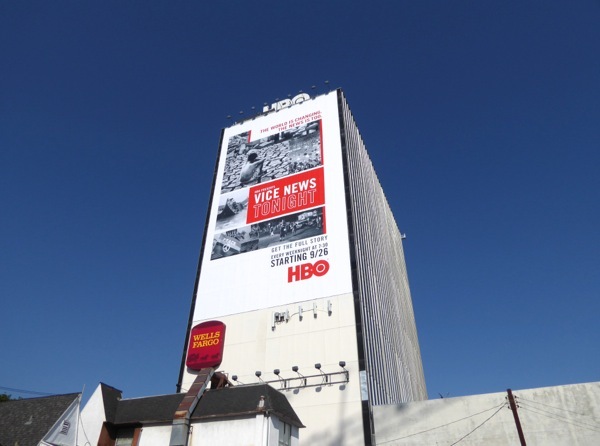 These series launch billboards were snapped towering over eastbound traffic along the Sunset Strip and along Robertson Boulevard on September 6, 2016. 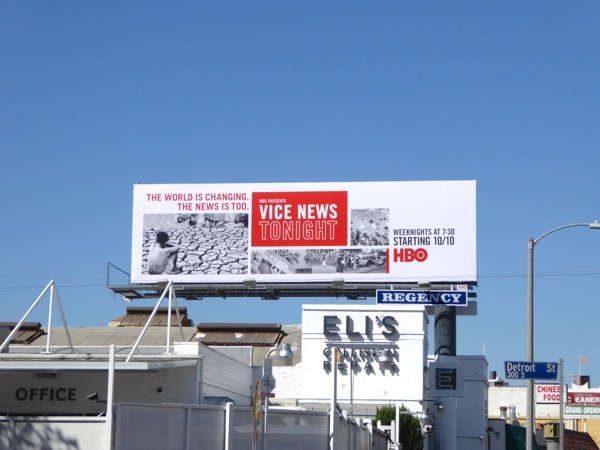 Plus be sure to also check out these Vice season one to four billboards from around the skies of L.A. in recent years. The show has now been postponed from its September 26 debut, apparently to make sure everything is perfect for broadcast across all platforms, and will now launch on October 10, 2016. 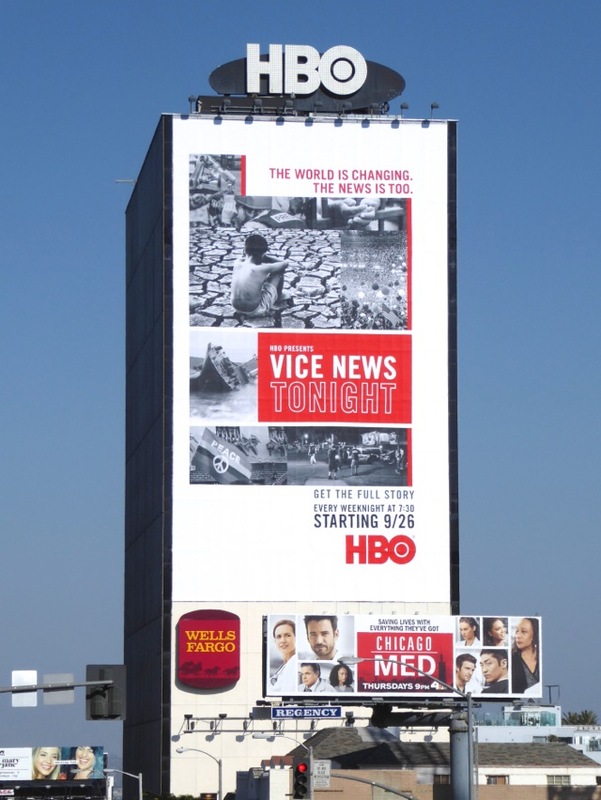 Are you ready for a new approach to the news? 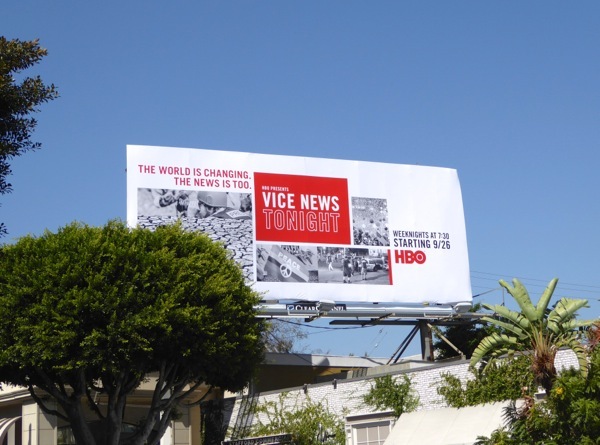 UPDATED: After disappearing for a few days the billboards are starting to pop up again for Vice News Tonight with the new start date, like this one spotted along 3rd Street on September 28, 2016.